A cosmeceutical brand, born in South Africa it has a range of peels and retail products as well as signature facials. The brand is sold in clinics and high end beauty therapists and in recent times has been featured in many magazines and blogs. I had a Nimue Peel many years ago and did a little trial with a four week supply just before Christmas. I was taken with the exfoliating enyzyme but I wanted to try a more active range. Their Age Intelligent product had just hit the market and as a skincare lover I was keen to try it out. One of my bugbears is when people write about skincare a day after they open the pot. I never do that because I know that my skin cycle is around the five week mark and so it is really hard to tell any difference really until I have been using it a minimum of three weeks. A recent bout of stress and a holiday meant that my skin was pretty meh. By that I mean dull congested and a nice little build up of dry skin. 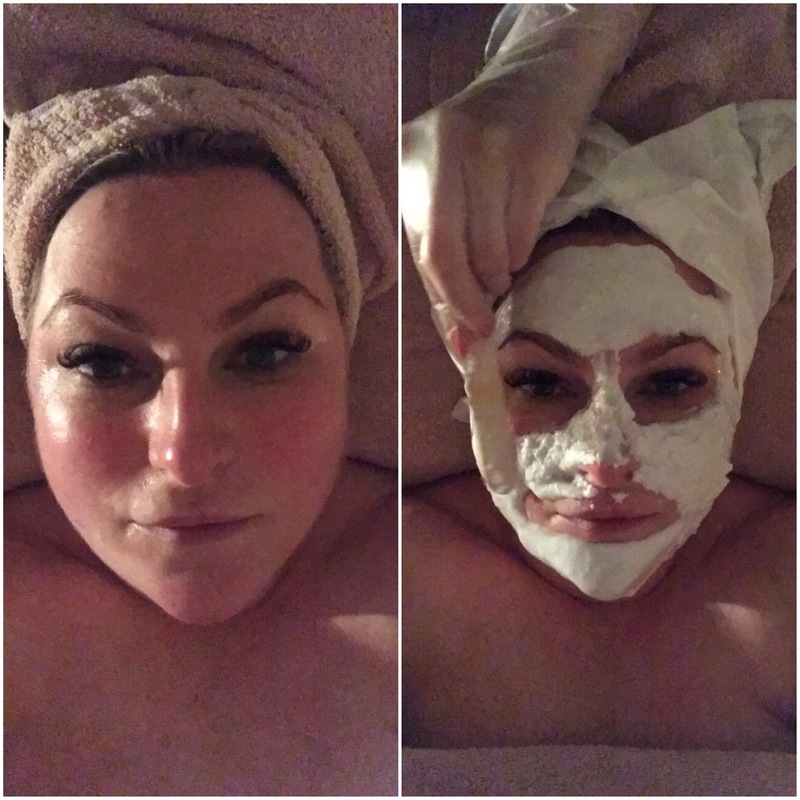 I needed to get that sorted completely first so I went to Cocos beauty clinic in Ballincollig to have a Nimue Peel done.I am a vetaran at the peels so I went hard for the anti ageing one. These cost €80 each and they are the business. Why? Well try 35 per cent glycolic for a start and then add AHA’s and try that on for size. My therapist Tara was lovely and so informed on the skin. We started off with a double cleanse to take of my SPF and leave me with a healthy start. Then a steam and exfoliate which helped to prepare the skin for the peel. A thin layer of Nimue 35 per cent glycolic helps with the removal of dead skin on a superficial level (simply put it works just on the top layer), this is effective against fine lines and pigmentation and promotes healthy collegan production. 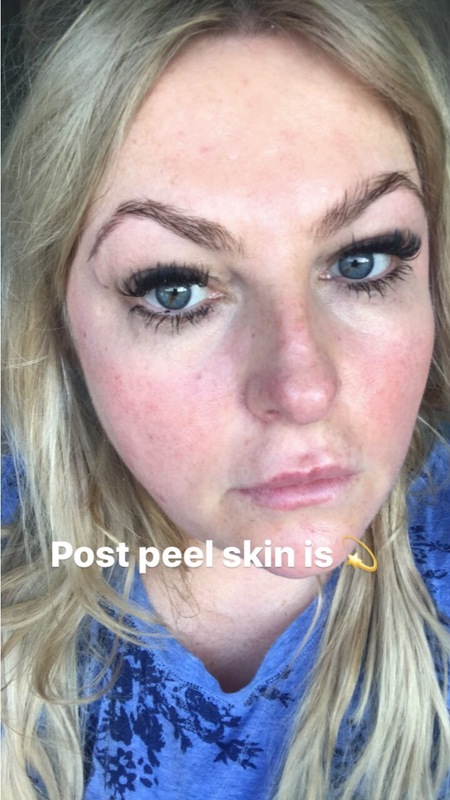 The peel wasn’t painful it was just like having ants run over your face so it was slightly itchy before it was neutralised. Then once it was Tara applied a masque and did a little shoulder massage. Afterwards my skin was flushed for a couple of hours but by bedtime it was gone. The rsults in the last few weeks have been realy fantastic. My make up is going on easily and I have been using the Nimue routine at night. With all facial treatments it is best to do a course of them for optimum results. But after one there was a definte improvement in the feel of my skin. I was thrilled that my skincare was going to be able to penetrate and work properly. That dull layer of skin needed to go and I was soft as anything. 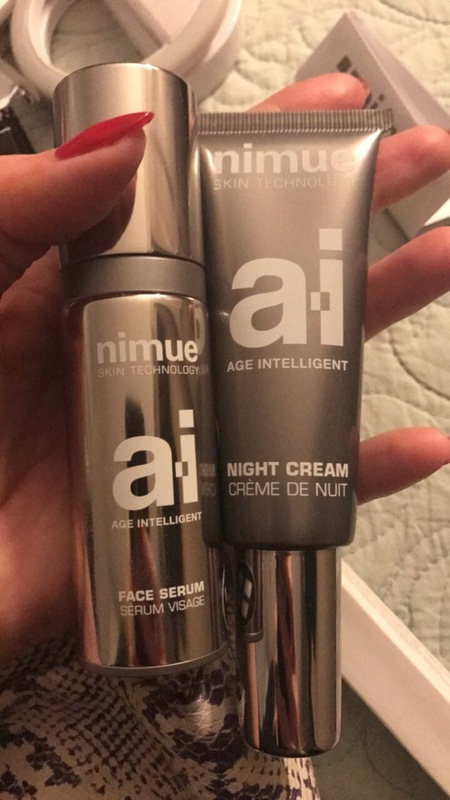 Age intelligent is a new addition to the Nimue Range, headed by the original supermodel Helena Christansen. Cork has me to trial it and I am impressed.When I read the studies and results of the clinical studies I actually couldn’t wait to be face down in a tub of it. Turns out that like all high end skincare it comes in a pumped delivery system do the dream of bathing in it wasn’t to be. The Age Intelligent range is designed for modern living. It helps to tackle environmental damage and glycation ( that is the effect of sugar in the skin) and free radicals. All the stuff that our mothers didn’t have to contend with. Lets start with the face serum, it is spendy at €150. But your face is an investment so if you can afford a night out you can afford some wuality skincare. This you can use morning and evening, however I have opted to switch my whole nighttime routine to Nimue. The Face serum is a creamy light texture that is easily spread onto the face. Two pumps will cover your face and neck. It is easily absorbed, it smells quite yeasty but it isn’t unpleasant. It gives an instant glow and luminosity. Four weeks in I am hydrated and the elasticity of my skin feels better. The night cream is light also. I hate my face sticking to the pillow so this gel cream texture is the perfect consistency to apply after the serum. Again two pumps is enough to do the face and neck. This retails at €140 and is available in a day cream too for the same price. There is an eye cream too which I must try because of all the products in the world I love a good eye cream and my eyes are quite prine to circles and bags. This sells at €75. The packaging is unisex too as is the product. Cosmeceuticals by their very nature are more active so you can expect a tingle when you start to use it. You can contact the ladies at Coco Beauty Clinic in Ballincollig at 021- 4878717 or have a look at http://www.coco.ie. The salon itself is so modern and spacious and they do a range of services from HD Brows to Shellac. All of the therapists are friendly and the vibe in general in the salon is chilled and there is even a little relaxation zone upstairs.